Hi foodies! 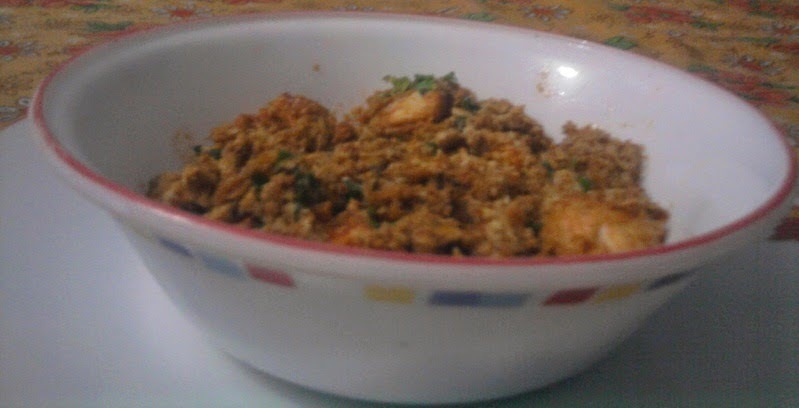 My next recipe for ‘Nababarsha’ is ‘Chicken Rashida’! 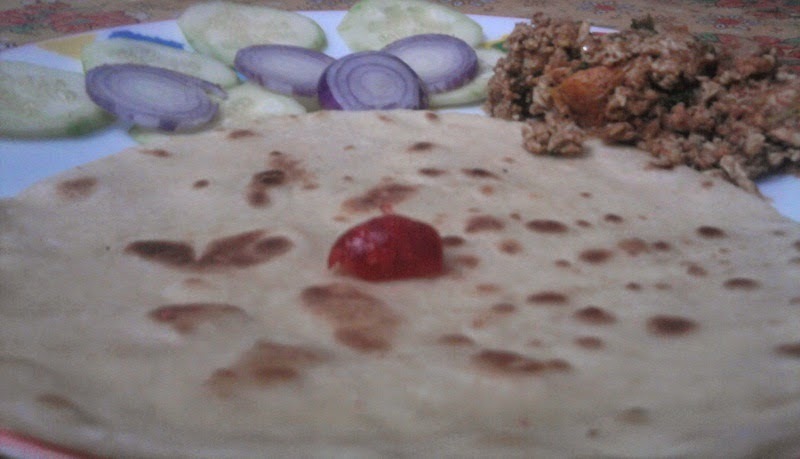 It is a famous dish of a ‘Dhaba’, located beside a highway in our city. I have learned the recipe from their Punjabi cook. He told that this dish was originated in North India! 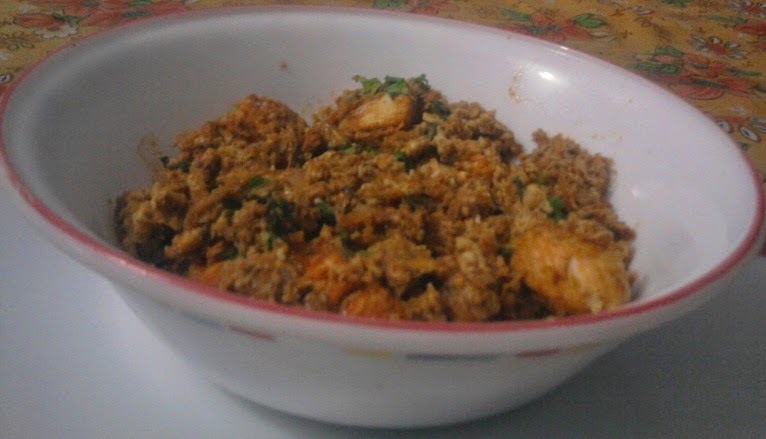 It is one of favorite dishes of my hubby! Try it; I think, you will love it, too……. Garam masala powder: 1 tablesp. Marinate the chicken with salt, turmeric powder, chilli powder, ginger paste, garlic paste, vinegar and leave it for at least 30 min. Beat the eggs very well in a bowl and keep aside. Heat the oil in a heavy pan and add in the sajira seeds. Then add onion in the oil and fry till golden brown. Now, add the tomato puree in it and blend well. Add the chicken and garam masala and cook for 5 min; stir continuously. Now add little water in it and cover it for cook on a low heat till the chicken is tender. Keep checking the dish while it is cooking if the curry dries keep adding a little water. 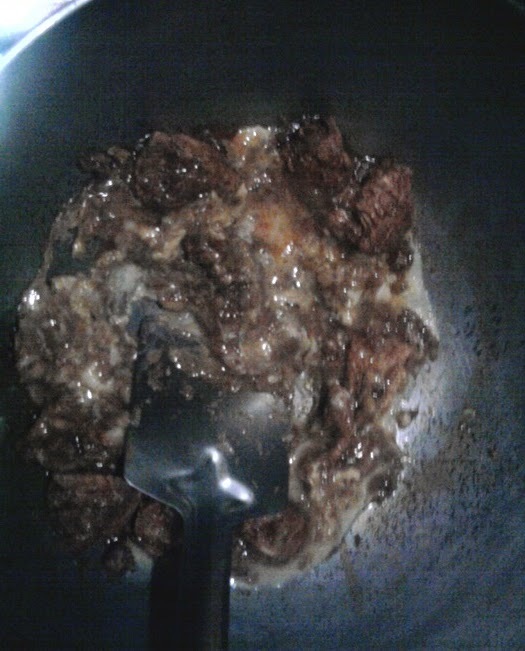 Now, move the chicken cubes to one side of the pan and add the egg into the middle of the pan and mix it with the chicken. Add the cream and the cashew nuts; simmer for a minute and take off the heat. Garnish with coriander and serve hot with naan, paratha or BAKARKHANI. I saw this recipe in a book called the Indian Kitchen published in 2008,along with Daal Tadkha. A lady named Rashida with her dhaba in Mumbai made it first and popularised it,but hey Foodies want to take the credit for it,chaltaa hai.It happens only in India, especially the Punjab! Hi Dueepjs! Thanks for the info. I didn't know the name of the chef, but I have learned it from a Dhaba, as I mentioned before. I think, you didn't read my recipe throughout. Thanks anyway for visiting my blog.